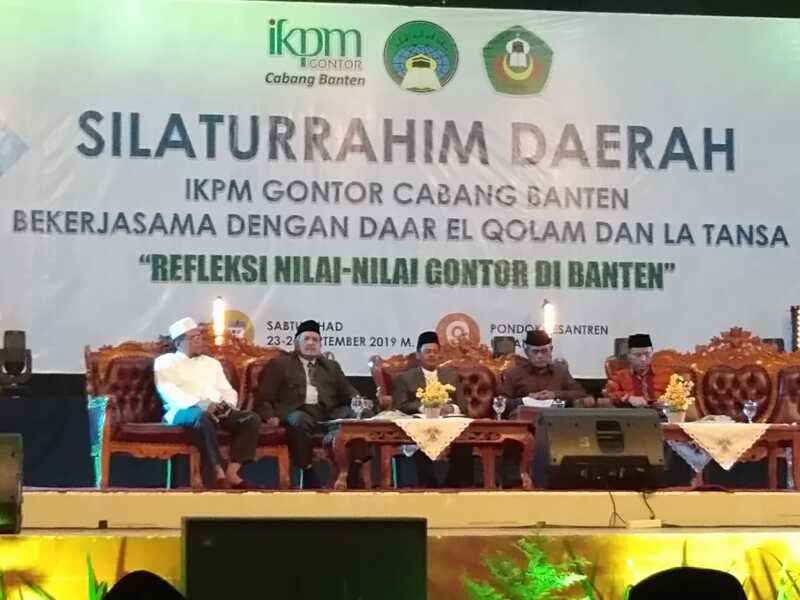 Banten – The Family Association of Darussalam Gontor Modern Islamic Institution Branch Banten held a regional fraternal meeting and the symposium “Reflections on the Values of Darussalam Gontor Institution in Banten” at La Tansa Modern Islamic Institution, Banten, from Saturday to Sunday (23-24/3/2019). The main participants who attended included the Leadership of Darussalam Gontor Modern Islamic Institution Shaikh Hasan Abdullah Sahal, the Rector of the University of Darussalam Gontor, Professor Amal Fathullah Zarkasyi, the General Chairman of the Family Association of Darussalam Gontor, Hajj Isma’il Abdullah, Dr. Hamid Fahmi Zarksyi, Dr. Ahmad Hidayatullah Zarkasyi, Hajj Ahmad Suharto, the Leadership of La Tansa Islamic Institution Shaikh Adrian Mafatihullah Karim and Sheikh Saleh Rashad, the Leadership of Dar al-Qalam Islamic Institution Shaikh Nahrul Ilmi Arif and Shaikh Ody Rasikhuddin, the scholars of the graduates of Darussalam Gontor and parents of the students of Gontor, and sympathizers of Gontor. 200 participants attended the two-day event. This program aimed to establish a network and strengthened the relationship between the graduates of Darussalam Gontor, the parents of the students of Gontor and the leaders of the graduates’ institutes in Banten. In the symposium, the speakers explained how the graduates of Gontor implemented the values of Gontor in Islamic education and community in Banten.